Hi there! CTM Anne/aka Oldenmeade here, showcasing some of the layouts the CT have made with NBK Design‘s latest collection, White Christmas. 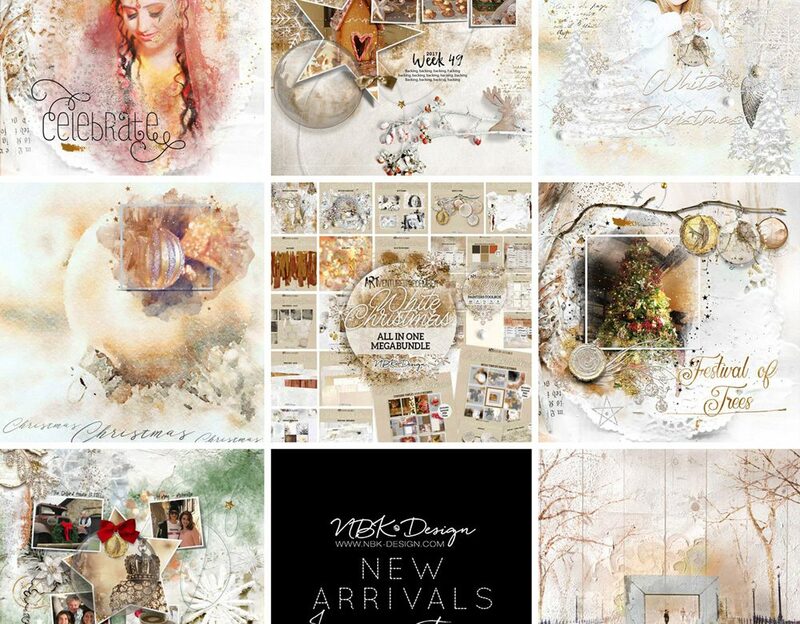 A beautiful collection by NBK-DESIGN of lustrous silver, copper, and golds – along with wonderfully textured gesso, so suitable for all your Christmas and Winter pages. 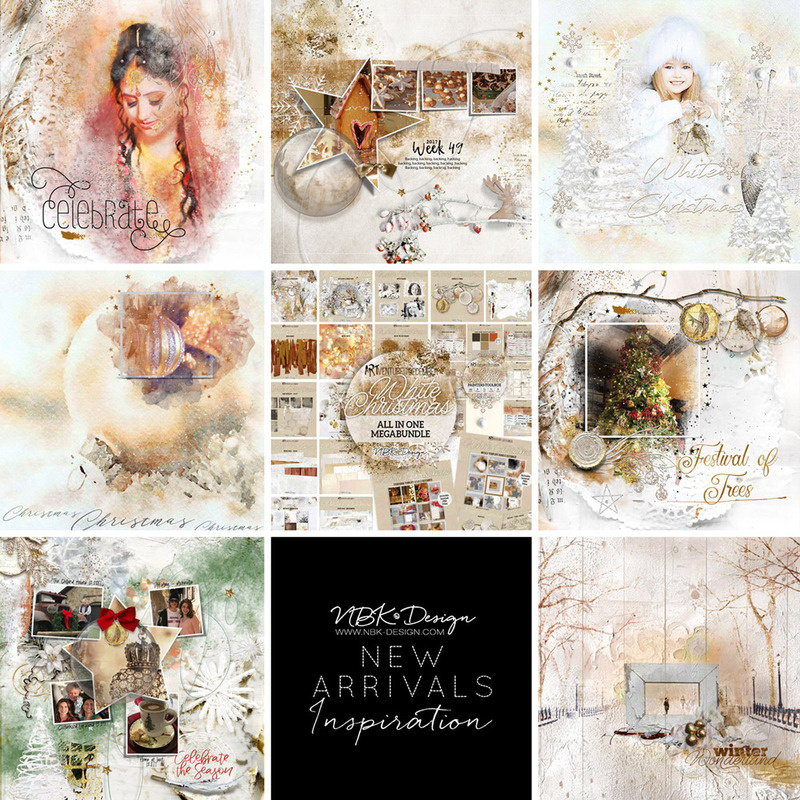 There are baubles with snow-dusted twigs to hang them from, artsy Christmas trees, and snowy wood slices which you could use as photo mats, or in clusters. Magic lights add a touch of warmth. The Painter’s Toolbox contains a huge variety of brushes and styles for you to experiment with, and there is also an array of watercolor and mixed-media papers to kickstart your imagination. A collection not to be missed!